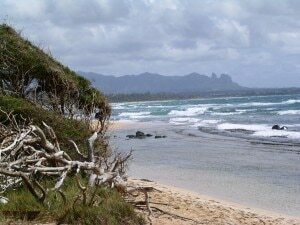 Sure, spring is starting to appear, but wouldn’t you rather be in Hawaii right now? Let us be your guide! We just published our annual Hawaii Newsletter that can work as a blueprint for your island getaway. 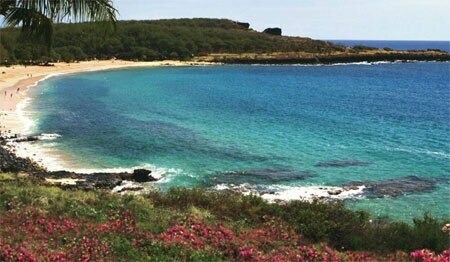 We proudly present the Top 10 Beaches in Hawaii, offering readers ten great spots from Maui to Molokai for surfing, swimming, snorkeling and sunbathing. The issue also boasts a perfect five-day itinerary for tackling the islands with kids. Besides this family-friendly guide, travelers can find savvy escapes such as Kauai Honeymoon, Hawaii’s Volcanoes, Hawaii 101 for first-time visitors and Historic Hawaii. We think anytime is a great time to visit Hawaii, but we appreciate The Aloha State the most when winter hits the mainland. Fun in the sun is so much more so when you know your neighbors back home are knee deep in snow. If you want to put sunscreen on your neck instead of a scarf, we recommend a trip to Kauai. As more and more people discover this once-remote island, developers are making over the pristine landscape. Although we’d like to stop this wave of “progress,” one advantage is that there are more top places to stay, and more top toques to satisfy your appetite. Our Kauai travel guide will tell you where to book reservations for hotels and restaurants while you’re in search of volcanoes. Is Donald Trump trading the boardroom for board shorts? 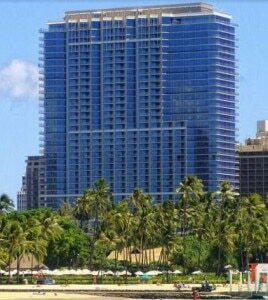 November 16 marks the opening of the Donald’s 38-story Trump International Hotel Waikiki Beach Walk, featuring 462 guest rooms and suites, with the largest exceeding 2,000 square feet. Since Trump always strives for the best, the hotel’s Penthouse accommodations boast full gourmet kitchens with granite and marble countertops and travertine flooring, and will be outfitted with appliances by Wolf, Sub-Zero and Bosch as well as under-counter wine cellar storage, affording guests the option to have the hotel’s chef prepare a meal in the privacy of the suite. Other guests will have to make do with the Honolulu branch of Laurent Tourondel’s BLT Steak scheduled to open December 16 on the street level.